On The Dawn of Little Caesars Bacon Crusted Pizza, Domino’s Delivers Yet Another Curve Ball Removes “Pizza” From Their Name! 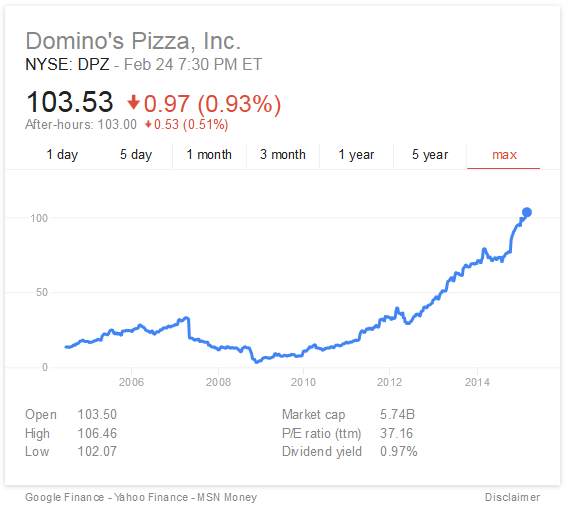 The End of Domino’s Pizza Translates Simply Into Domino’s Continued Success. Marketing Genius! Just take a look at this stock performance from 2004 to Present. I don’t agree with everything they do, but apparently they are doing everything right. This is a company to invest in. Domino’s broke into the Pizza world revolutionizing pizza delivery with their promise of delivery in 30 minutes or less. Actually, if you really look at it, it should be expected. In fact, they have constantly adapted and made adjustments every single step of the way and are continuing to do so as needed. 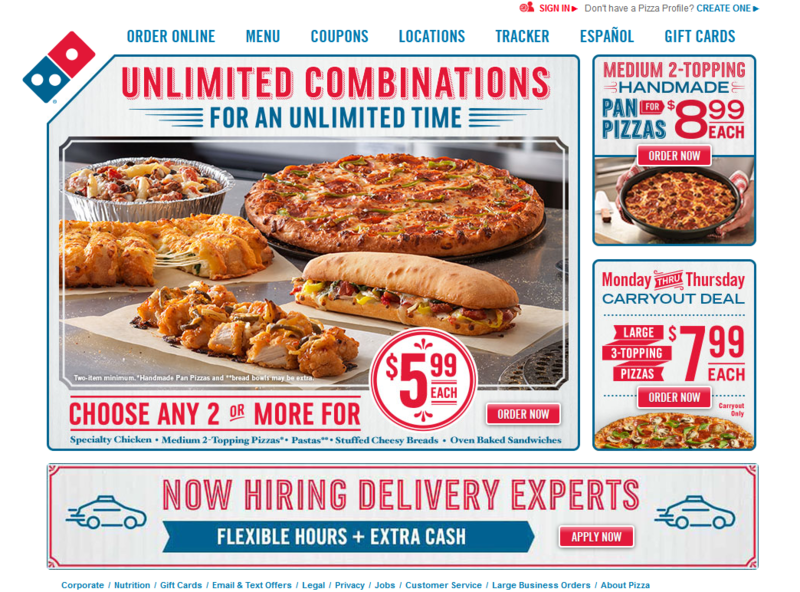 I would have said, YOU CAN”T REBRAND YOURSELF SO OFTEN!” however it would appear that this philosophy is working out quite well for Domino’s. It seems like I see a new commercial for a new Domino’s every month and I don’t watch a lot of TV. I would hesitate st this point and be a bit concerned that the public doesn’t even know who Domino’s is anymore. But that is not stopping their stock market success. So Domino’s Pizza is Now Simply Domino’s and they say because they realized they carry more then just pizza. So this would appear to be a part or the first step in what will inevitably be a master plan or master roll out of something much bigger to come. And keep in mind, Domino’s Stock prices are climbing and they aren’t currently even using NFL Players in their commercials. Maybe they are on to something here. Delivery in 30 minutes or less. Brilliant! Thin crust, thick crust, 2 for 1, low prices, it doesn’t matter. Roll with the punches. Competing with Papa Johns for Fresh Home Grown and Homemade Freshest ingredients! the Large Cookie, Failed and they even told you about that failure. But it got people’s attention.